This entry was posted on novembre 30, 2008 a 5:29 pm	and is filed under attualità, sicurezza, terrorismo. 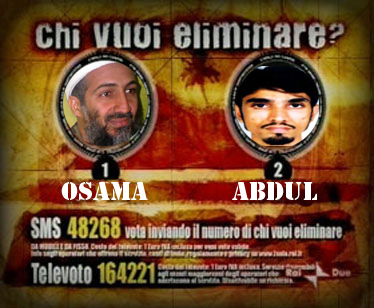 Contrassegnato da tag: Abdul Subhan Qureshi, bin laden indiano, il giornale, isola dei famosi, mumbai, terrorismo. You can follow any responses to this entry through the RSS 2.0 feed. You can leave a response, oppure trackback from your own site.